According to a growing chorus of business technologists around the world, this emerging blockchain stands poised to revolutionize nearly every industry. Momentum has gathered pace as companies around the world evaluate proofs of concept and pilots using this emerging technology and venture capital investment flows toward startups embracing it. Every week, it seems, a blockchain-related conference or event takes place somewhere in the world. I was initially a skeptic when the technology first came on the scene a few years ago. I thought it held promise, but many aspects remained unproven. Fast-forward a few years, and I have evolved from pure skeptic to cautious optimism. While none of us can foresee precisely when or in what form blockchain will transform business, I believe the technology has the potential to revolutionize the world of enterprise software as we know it. Blockchain uses cryptography, peer-to-peer networks, and consensus algorithms to create a digital ledger or repository of transactions. Every participant in a blockchain can observe these transactions, which are verified and recorded in a connected chain of information. Blockchain allows multiple participants to share information and conduct business transactions directly with each other, eliminating the need for third parties. The transparency of information is built-in because blockchain allows multiple parties to retain an identical record of the history. Any updates to the repository can only be achieved via consensus from all impacted participants. It is important to note that while blockchain is commonly associated with cryptocurrency, the two are not interchangeable. The former is a technology, while the latter represents its application. The blockchain is a decentralized, distributed, digital ledger that stores a registry of transactions, secured through cryptography. Blockchain writes data as blocks of transactions, where each block contains a hash of the previous block. It is not possible to change data in a block without effectively destroying the chain. Once data has been written to the blockchain, it cannot be updated or deleted. Trust is achieved through this immutability of data and is unlike traditional centralized databases where data can be changed in most types of records. Trust comes not only from immutability and cryptography but from the fact that the “digital truth” is replicated to many blockchain nodes and thus everyone can own a digital copy (or one can have many nodes operated by different organizations). Because no centralized entity owns the blockchain data, all parties to a transaction enjoy a full view. This transparency, not unlike Wikipedia or other crowdsourced platforms, becomes important in scenarios such as a supply chain, where multiple parties need to contribute information — or when data needs to cross organizational boundaries. Blockchain enables buyers and sellers to rely on the same, verifiable set of information. This audit trail means that if someone tries to make a fraudulent transaction, the decentralized nature of the chain will encourage others to thwart it before it goes through. This aspect of blockchain removes the intermediaries traditionally involved in commercial transactions, making them faster and more efficient. One of the blockchain’s core features — smart contracts — contain executable code designed to trigger a particular action when predetermined conditions are met. For example, if a transaction exceeds a set dollar amount, the smart contract initiates an additional level of management approval. This conditional requirement, coded within the blockchain, can help procurement professionals to ensure compliance and meet budgetary goals. Those of us working in digital procurement have understood the importance of these attributes for years. That’s because, long before the emergence of the blockchain, the architects who designed the first digital networks realized that until they instilled trust, businesses would never turn away from pen-and-ink ledgers and dead-tree product catalogs. Two decades later, today’s cloud-based procurement networks facilitate secure, encrypted commerce among millions of buyers and suppliers in nearly every country on earth. For many, blockchain can be confusing. More than merely an innovative technology, it represents an evolution in people’s approach to commerce itself. There is a limited talent who understand how this technology works — and even the experts often think about the technology slightly differently from each other. Moreover, expertise in the technology is not distributed uniformly but clustered in certain parts of the world. Yet the solutions it enables are global, so adoption requires a widely dispersed talent base who understand it well. Blockchain adoption is not simply about the technical details. It is equally important to have the involvement among all stakeholders in an ecosystem. 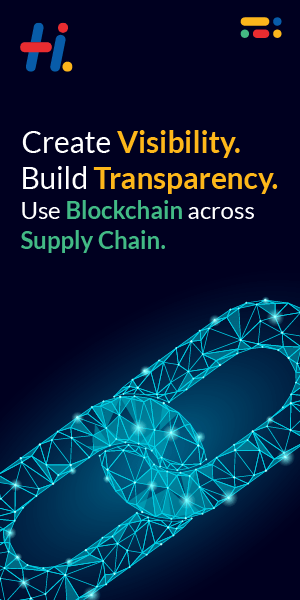 For example, in the procurement scenario of “Know your supplier,” where a buyer needs to know the details and certifications of key partners, the solution can be used only if all suppliers adopt the blockchain and enter their information. Similarly, in seeking to verify the provenance of raw materials, the related business partners must be on the blockchain in order to track from origin to end-product. The immutability of blockchain records becomes a challenge the moment faulty data is entered since correcting it requires unanimity on the part of transaction participants. Companies that own and develop “systems of record” have an inherent advantage, as they can ensure the accuracy and authenticity of the data at inception. When bad data is entered, it is kept forever and can have a long-lasting negative impact. Today, the speed at which most blockchain transactions are processed remains limited. Blockchain platforms are not designed to process millions of transactions in seconds, as credit cards do. For example, the Bitcoin network is capable of processing a maximum of seven transactions per second. Imagine applying this processing time to a network of millions of people; one’s wait time would be a century, give or take! In contrast, Visa processes thousands of transactions per second, enabling the network to move with fluidity and ease. There are some protocols enabling much higher volumes of transactions per second – still not yet comparable to the credit card payments – but sufficient for many enterprise scenarios. In addition to speed, there is a concern about the total volume of data stored in the Blockchain, which can also slow things down. There are several different public blockchain protocols. In addition, many companies are moving to launch “permission” blockchains. These are a variation of public blockchains, where only certain people are invited and allowed to view the data. As public and permission blockchains are set up, the challenges related to the interoperability of all the emerging protocols and consortiums arise. Despite the aforementioned constraints, blockchain boasts many strengths and enables new capabilities that can unlock value across a business. And industry leaders are working to figure out how they can leverage the technology to do this. In many organizations. Procurement is taking the lead. And it’s only natural. After all, procurement networks — like blockchain — are global and secure. both depend on trust to function properly and require information-sharing, across company boundaries, among buyers and sellers. Blockchain has the potential to become the complementary technology layer to digital networks, where data-sharing across parties can be facilitated and execution of transactions can be enabled and buyers and suppliers’ ability to share data exclusively, authenticate each other reliably, collaborate on products virtually, evaluate third-party risk instantaneously, and maintain an audit trail permanently enhanced. And this is a good thing for technologists and procurement professionals alike. Because together, they can shape a future where digital networks and blockchain aid buyers and sellers everywhere in securing products and services in a more secure and trusted manner. Shivani is global vice president for artificial intelligence and cognitive products at SAP Ariba, the world’s largest business network, linking together buyers and suppliers from 3.4 million companies in 190 countries.